Holcim Lanka handed over the first green pre-school to the people of Dikkumbura in Ahangama on Wednesday 22 June 2016. 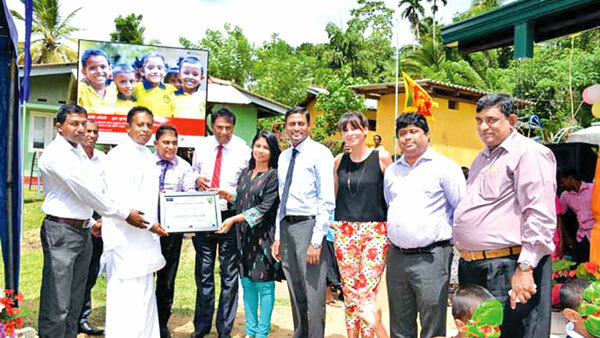 The opening ceremony of the pre-school coincided with Ceylon Institute of Builders endorsing the building with their Green Label certification. Minister of Petroleum Resource Development Chandima Weerakkody, President of Ceylon Institute of Builders (CIOB) Dr. Rohan Karunaratne and the Holcim Lanka management attended the opening ceremony. 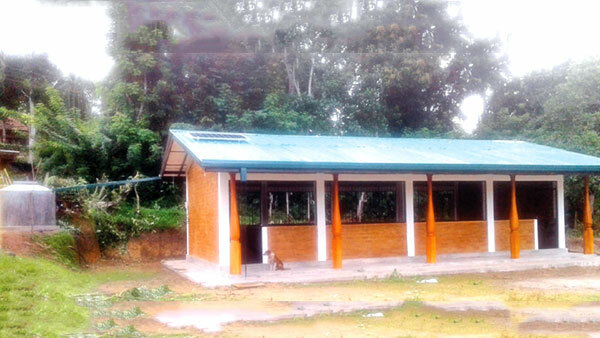 “We are proud to have participated in the construction of the first ever green pre-school of Sri Lanka. We believe this is an important step to inspire all other community buildings to embrace the sustainability principles,” Krishantha Gamage – External Affairs and CSR Manager of Holcim Lanka noted. “We have strictly limited the usage of painting and putting and it is also equipped the building with solar power instead of CEB power solar panels and rainwater harvesting system to prevent any consumption from the national grid,” Krishantha further clarified. Minister of Petroleum Resources Development Chandima Weerakkody, addressing the gathering said, “I must extend my heartfelt gratitude to Holcim Lanka. It is an honour for Habaraduwa to consider our children who are our future and it is also very much appreciated that Holcim Lanka provides the first Green certified kindergarten in Sri Lanka, which is a milestone for the entire country sustainability journey”. In keeping with their Corporate Social Responsibility towards sustainable and environmentally friendly construction, Holcim Lanka undertook the construction of a green building. “During the construction the process was closely monitored by the Green Auditors and today we received the Green Label certification by the CIOB,” Krishantha reiterated.